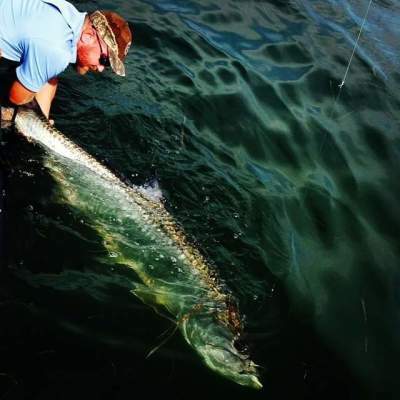 Bay Fishing Port O'Connor offers thrilling saltwater fishing trips on the central Texas coast out of Port O'Connor. This area is a very diverse coastal region offering opportunities for recreation on secluded coastal barrier islands, fishing in pristine back country marshes and shallow bay flats, and has a close proximity to the Gulf of Mexico for anglers in search of large predatorial fish. The diversity of habitat in this region lends itself to a multitude of opportunities for just about anyone looking to enjoy a high quality outdoor experience. 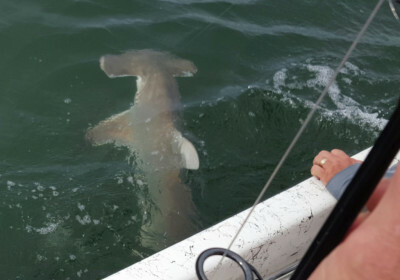 Because of this we offer a wide variety of saltwater excursions perfect for just about everyone from the thrill seeking angler to the family looking for a weekend get away. Overall, the best time of year to enjoy the Texas gulf coast is during the summer and fall time. 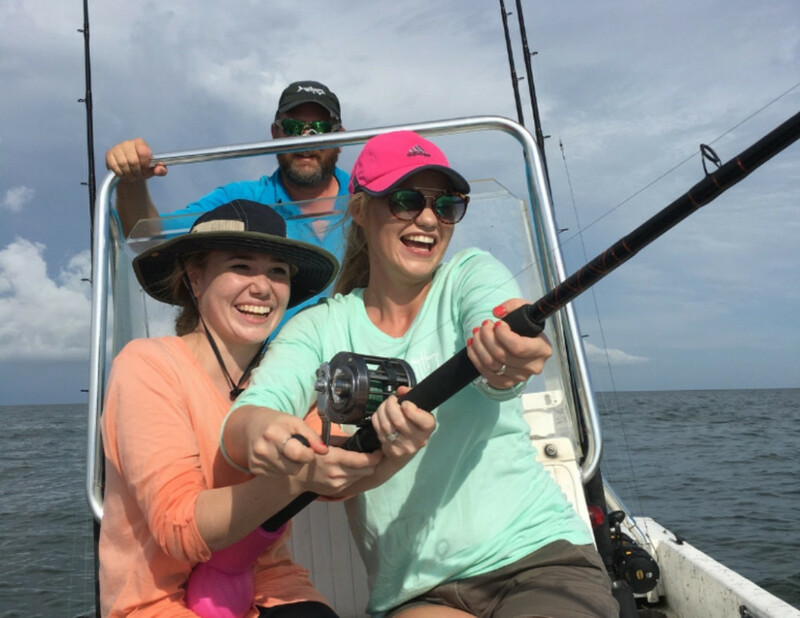 Thrilling saltwater fishing trips offered at Bay Fishing Port O'Connor includes Inshore Big Game Fishing Trips and Flats Fishing Trips. A trip to remember! The perfect time for a family outing is from late May through the end of August, when the kids are on summer break. Whether you are looking for a "meal" or trophy catch, we can accommodate your needs. During the summer months the weather is more stable and the water is much warmer. Gulf currents also push in beautiful emerald green and light blue water setting up a situation where it just feels right to be on the water. 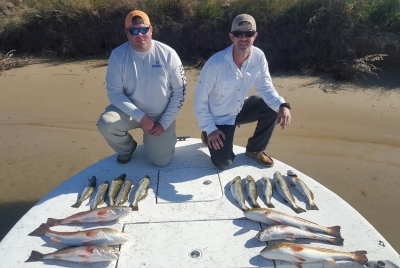 Bay Fishing Port O'Connor offers fantastic opportunities for everyone to be able to get out on the water and enjoy all that the Texas Gulf Coast has to offer. There are many predators of the sea but some of the oldest and hardest fighting in the oceans are sharks. Additionally, Tarpon are another species that grow to be quite large and are extremely strong fighting. 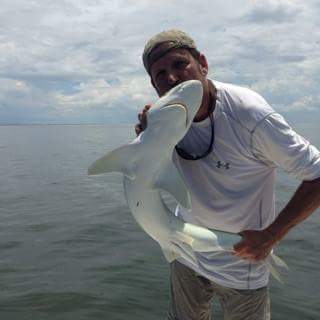 That's what makes Sharks and Tarpon so much fun to catch! 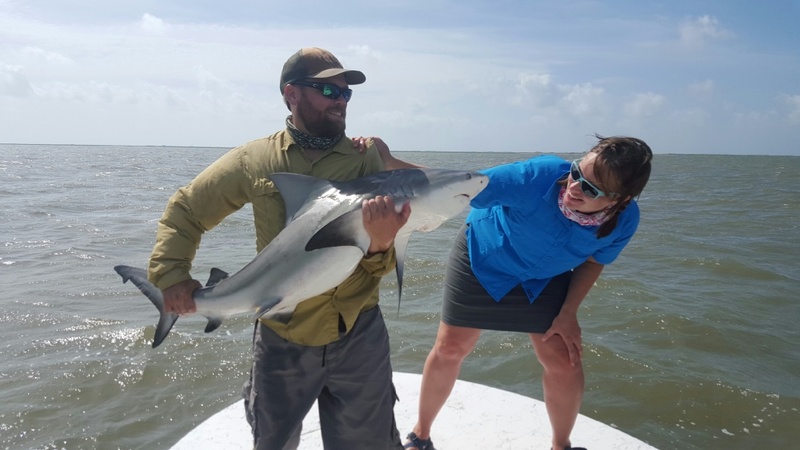 Every year, starting in late May, these large fish migrate into the Texas bays and along the beach fronts bordering the Gulf of Mexico in order to feed and reproduce. During the summer months of the year our bay systems also contain large concentrations of mullet, speckled trout, and ladyfish. These are all perfect foraging food for the fish we refer to as Inshore Big Game Fish. The fish associated with this category include Tarpon, Sharks, Bull Redfish, Stingrays, Kingfish, Bull Black Drum, and Jack Crevalle. 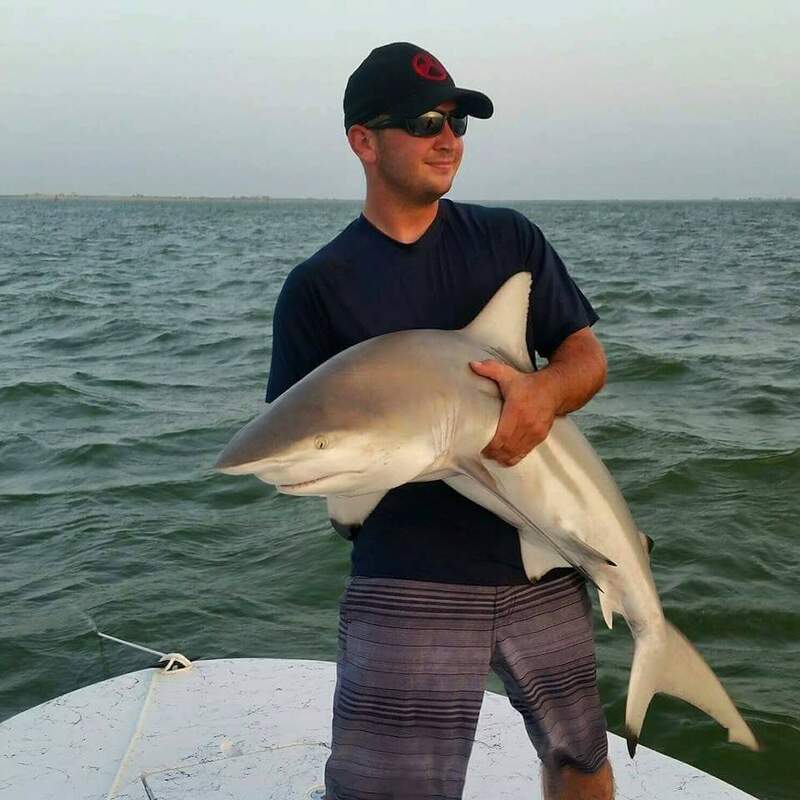 Inshore Big Game Fishing with Bay Fishing Port O'Connor is a trip that the whole family can enjoy. This is a safe, fun, and exciting adventure that can create memories for the whole family. It is THE perfect way to introduce your family to the joys saltwater fishing. Our inshore big game fishing trips are a fully guided trip conducted in the bays, passes, and gulf beach fronts in and around Port O'Connor. We do not travel offshore on these trips. A trip includes all tackle, rods, reels, rigging, bait, chum, fuel, ice, ice chest use, and fish cleaning at the end of the trip. The customer provides their own fishing license with saltwater stamp, food and drinks, sunscreen, and other personal effects. 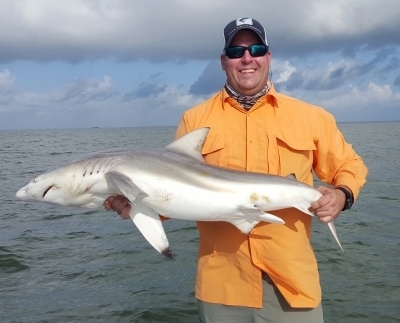 Targeted species caught on these trips may include, but are not limited to, Tarpon, Black Tip Sharks, Bull Sharks, Bull Redfish, Stingrays, Bull Black Drum, Kingfish, and Jack Crevalle. 50% Deposit Required At Time Of Booking. Cancellation policy strictly enforced. Gratuity is appreciated. All sharks are catch, photograph, and release only. No shark will be kept, regardless of size. 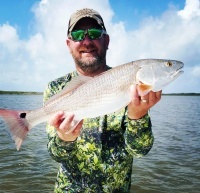 Port O'Connor is located on the middle of the Texas coast and offers hundreds of miles of pristine flats, marsh and back country areas to fish for Speckled Trout, Redfish, and other saltwater game fish. The primary bay systems that we fish around Port O'Connor consist of Matagorda Bay, Espiritu Santo Bay, and San Antonio Bay. These bays are formed because barrier islands separate them from the Gulf of Mexico. The inside areas of these islands create an intense ecosystem of flats and marshes that fish feed in and the outsides of these barrier islands have endless miles of surf fishing opportunities that fish consistently travel. 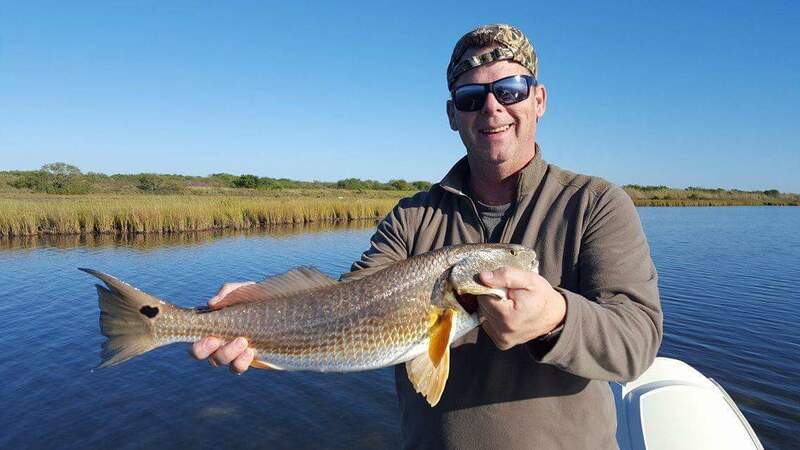 Our Flats Fishing Trips are fully guided trips conducted in the bays, back country marshes, gulf passes, and gulf beach fronts in and around Port O'Connor. We do not travel offshore on these trips. These trips can either be conducted while wade fishing or out of the boat. 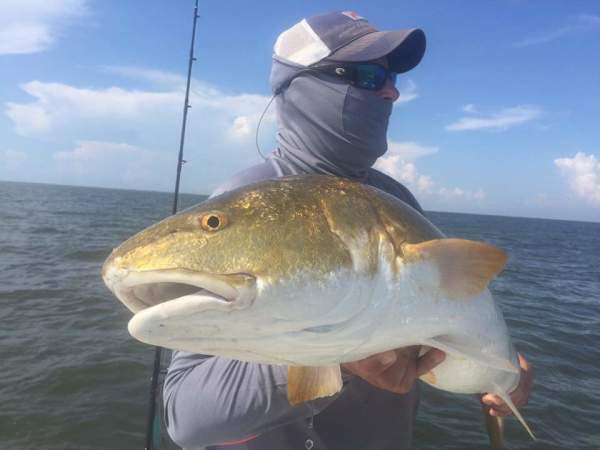 Target species caught on these trips may include, but are not limited to, speckled trout, redfish, and flounder. 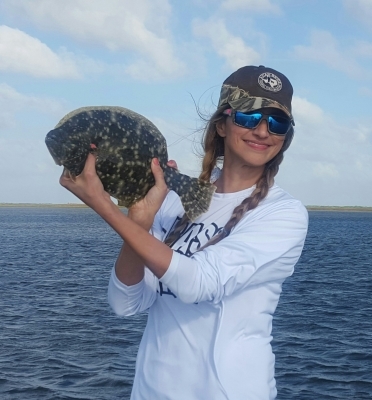 Flats Fishing with Bay Fishing Port O'Connor is a trip that everyone can enjoy. This is a fun and exciting adventure that can create enjoyable memories for everyone. We look forward to the opportunity of setting you up to catch the fish of a lifetime. That's why we say "Enjoy The Fish!"